This is Part 2 of a guest series by Dr. Ronn Johnson. In my opening post I recommended that locating the Big Story of the Bible can be difficult, and that simply being more fluent in the Bible does not solve the challenge. I should also add that I do not think this is anyone’s direct fault. No one is conspiring to keep the Story hidden. Maybe the modern Sunday sermon shares some of the blame, however: we are dropped into a text and then guided, often expertly, through left- and right-hand turns while never backing up (or backing out) to hear what is generally going on. During the sermon I suspect that everyone assumes—even the preacher—that everyone else knows how the text works in the larger scheme of things. When the sermon ends, we leave knowing the Bible better … yet the main story of the Bible is either assumed, or left out, and very likely left unchallenged. I think you know the drill. But while no one is hiding the main story of the Bible from us, neither is our current evangelical climate excited at the prospect of rethinking it. I speak here from personal experience, having taught and pastored in the movement for all of my adult life (for the record, I’m fifty-five, which may be old or young depending on how you interpret fifty-five. I used to think it was old, and now find it to be rather middle-aged, lost somewhere between teenage impulsiveness and senior moments of forgetting why I just stood up). I have worked for academic deans, Bible departments, denominational leaders, and even college presidents who are simply not interested in reviewing the Big Story question. When the question is asked, I sense that a siege mentality appears. Why challenge the system? But why is precisely my burden here—why would a movement so interested in explaining the Bible clam up (or worse, clamp down) on the greatest question we could ever ask of the Bible? I begin to wonder if we are hiding something after all. This “creation-fall-redemption-consummation” story is another way of describing the Sin Paid For model which I mentioned earlier, where the problem of sin on the front end (here called the fall, coming on the heels of the creation) is solved by atonement on the back end (Jesus’ redemption, followed by the consummation). The story goes from Genesis 1 to Genesis 3, then jumps to Matthew 26 and finally to Revelation 22. It is the distance and time between Genesis 3 and Matthew 26 about which I am most concerned. That is quite a jump. N. T. Wright has cynically described this not as making a jump but as “helicoptering our way” over the Bible, arriving at our destination with suspiciously clean feet. We certainly wouldn’t want a big story that makes us trudge through the details! It seems like there should be more to it all than this. “Through two-thirds of the Bible, the part we call the OT, an increasingly urgent, apparently unsolvable problem drives the narrative forward. God is a God of holiness and is therefore implacably opposed to evil, injustice, and wrong, and yet he is a God of infinite love. He enters into a relationship with a people who are fatally self-centered. Will he bring down the curse he says must fall on sin and cut off his people, or will he forgive and love his people regardless of their sin? If he does either one or the other, sin and evil win! It seems impossible to do both. The resolution to this problem is largely hidden from the reader through the OT, though Isaiah comes closest to unveiling it. The glorious King who brings God’s judgment in the first part of Isaiah is also the suffering servant who bears God’s judgment in the second part. It is Jesus. Victory is achieved through [Jesus’] infinite sacrifice on the cross, where God both punishes sin fully yet provides free salvation. 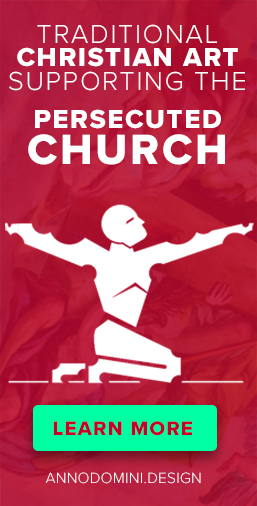 Jesus stands as the ultimate protagonist, the hero of heroes. Therefore, because the Bible’s basic plotline is the tension between God’s justice and his grace and because it is all resolved in the person and work of Jesus Christ, Jesus could tell his followers after the resurrection that the OT is really all about him (Luke 24:27, 45). So everything in the Bible—all the themes and patterns, main images and major figures—points to Jesus” (The Story of the Bible: How the Good News about Jesus is Central [in the NIV Zondervan Study Bible, 2015]). Let’s be fair, but pointed, in summarizing what Keller just said: God is holy, and he hates sin, but he cannot freely forgive the sin of those he also loves. So God is at an impasse between his love and his justice. God solves this tension by punishing Jesus on our behalf, thus providing us with a free and gracious salvation. What do you think? I hope that you can see that we are once again staring directly into the Sin Paid For model of the Bible’s Big Story. Nothing has changed. He has added some nice flourishes reflecting his pastoral concern, and for that he is to be thanked. He wants people to treasure God’s love for them as presented in the death of Jesus. I responded to this message when I was five years old, and my father was a pastor who ended almost every sermon by inviting people to respond to this story. So in one sense I am thankful for what Keller writes. But my concern remains. Is this really what the Bible is about? We should feel led to ask, Why is this tension largely hidden? And if it is, what is the point in reading the Bible if we won’t experience, along the way, the very tension that Keller claims is its main point? Either I am really missing the point of the Bible while I read it … or maybe the tension Keller is describing is simply not there. I recommend the latter option. I challenge any reader to find Abraham, Moses, or David describing a tension between God’s righteousness (the Hebrew word for justice and righteousness is the same, tsedaqah) and his grace. Moses received the stipulations of the law at the same time that he heard God describe himself as “gracious, long-suffering, and abounding in goodness and truth” (Exod 34:6). Yet we sense no tension. The Psalms commonly celebrate God’s righteousness and grace in the same breath (e.g., 103:17). And Jesus agreed. His parable of a creditor who “freely forgives” two debtors (Luke 7:42) is presented as though it is an honorable thing to be gracious without requiring payment. It is possible, even good, to “just forgive” a sinner without implying that their sin was not grievous. This graciousness is odd, yes, almost to the point of being ridiculous, but that is the point. God is just this ridiculous in his grace, and always has been. That is the kind of God that Jesus is trying to explain. Yet Keller rejects this view of a God, saying that we should have been sensing, all along, a grace/justice tension instead. By the way—and I will return to this in a later post—evangelicals like Keller use Romans 3:25-26 as their proof for this tension between God’s justice and grace. I believe they are misreading the passage. But let’s say, for argument, that they are right about the meaning of Romans 3, and that the main tension of the Bible is finally exposed and resolved by two verses written by Paul to a church in Rome in A.D. 52 (what took so long?). I find this hard to believe. It is one of several reasons why Romans 3:25-26 will not support this interpretation. The point of 3:25-26 is summed up in 3:29-30, dealing with the Jew/Gentile problem, thus dismissing the idea that Paul was trying to clear up something that people had not known since the fall of Adam. I will deal with this passage when I explain my Concern #3, which is that Evangelicalism, especially the modern American version of the movement, has concentrated on providing answers to the wrong questions. Let me close by taking an even closer look the Sin Paid For model, beginning with an illustration. Pretend we are trying to decide whether we should repair an old brick wall or demolish it and start over. From a distance the wall looks usable and sturdy. But when we get close we realize that some of the bricks are loose, others are misshapen, and some simply don’t belong. It appears the wall has been put together in hopes that no one will really inspect it. We conclude the whole thing needs to come down since its appearance does not match its reality. So let’s inspect the bricks which make up the Sin Paid For wall. Actually, I would like you to do the inspection first, and I will save my opinions for my next post. Below I have listed the individual ideas or elements that go into the Sin Paid For story, or which comprise the finished wall. I’ve grown up staring at this wall, and I have heard or read each brick t some point on my journey. Your job is to determine whether a brick should be kept or thrown away. Or maybe it just needs reshaping. Maybe it was never part of the wall in the first place, and can just be ignored. So how should you evaluate each brick? I recommend a simple test: in keeping with my concern that the Big Story of the Bible be found by appealing to what is actually happening in the Bible, I would like you to look at each brick and ask yourself: Is this idea taught, or is this happening, in the Bible? If it is, keep the brick. If not, throw it over your shoulder and move on. We will see what is left before rebuilding. We both have our work to do. Happy inspecting! If you would like to respond to this post, please email me directly at ronnjohnson7@gmail.com. Thanks. 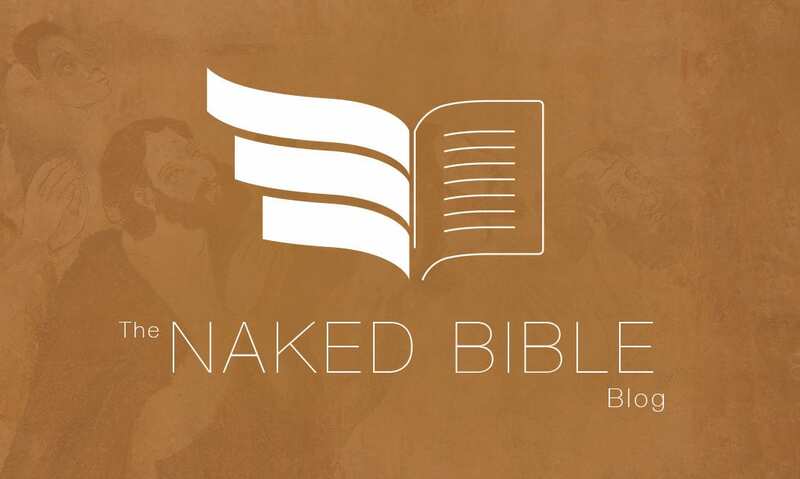 Naked Bible: Why Do We Do What We Do?